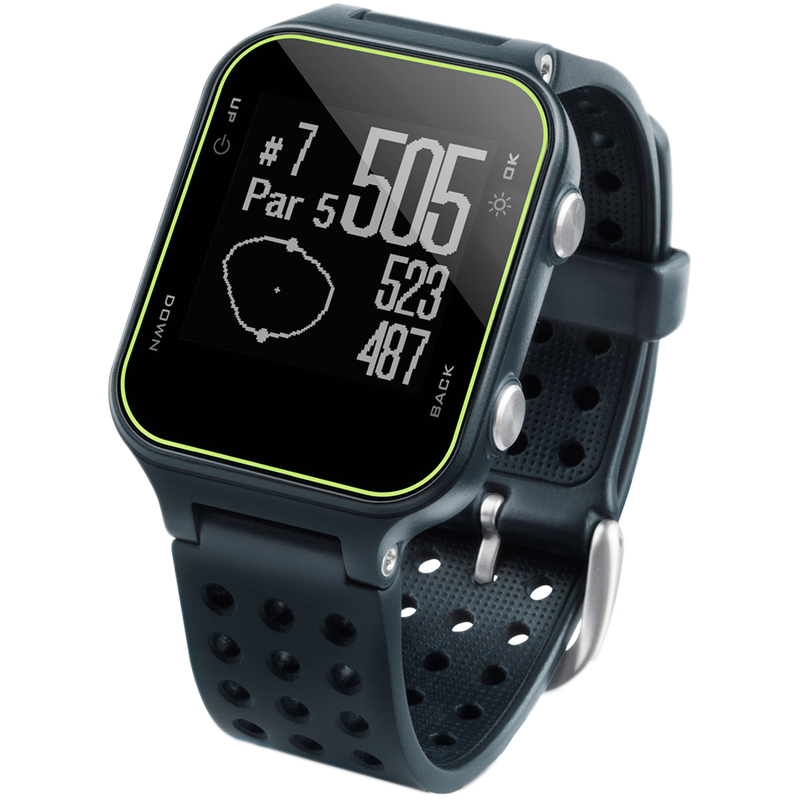 The Garmin S20 watch with stylish comfortable fully-hinged watchband design, and high-resolution display is the golfing partner that doubles as your everyday watch. 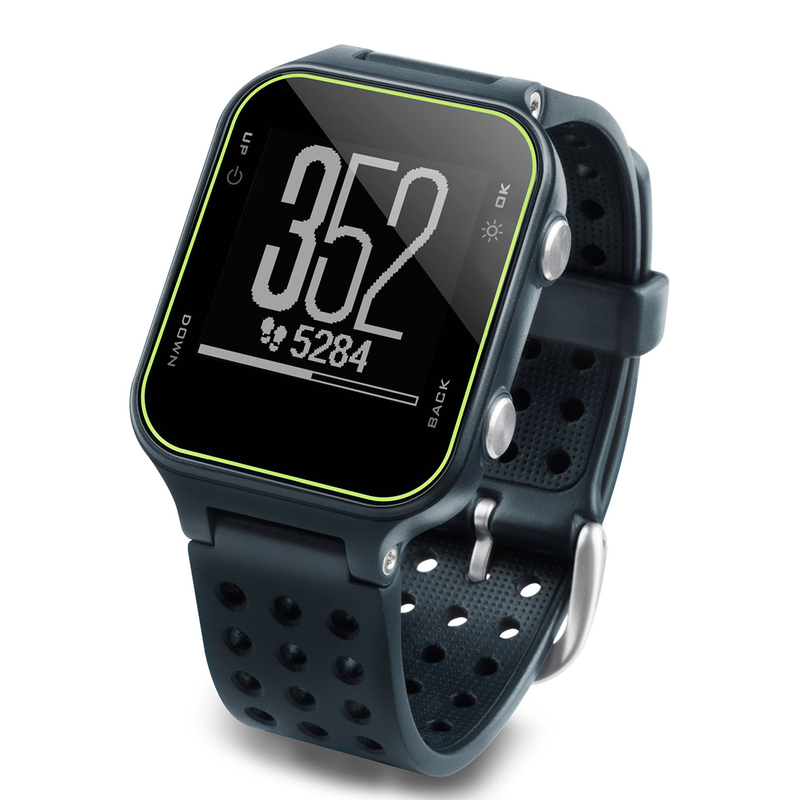 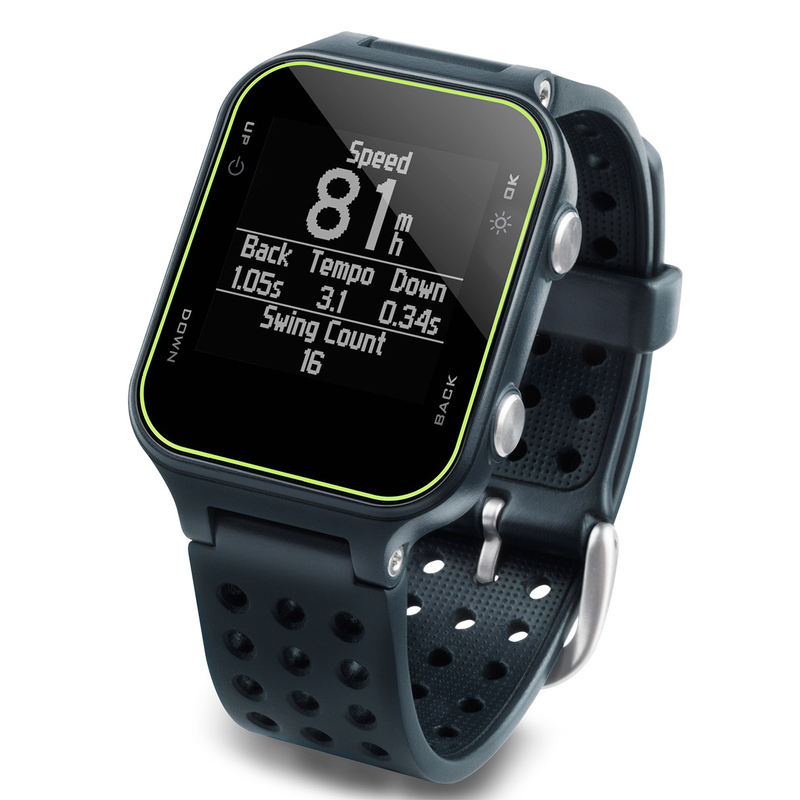 Featuring more than 40,000 courses with distance to hazards, plus Garmin AutoShot round analyser and activity tracking. 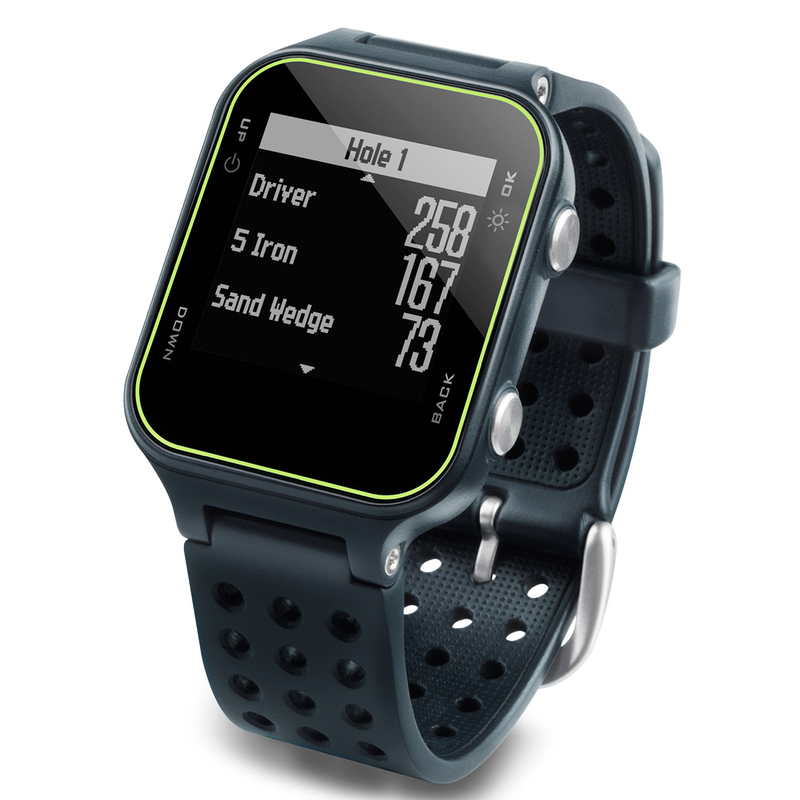 The device accurately measures the distance to hazards such as bunkers and water hazards plus front, middle and back of the green, layups and doglegs. For extra help the watch features a Green View feature which displays the shape of the green with manual pin placements. Wireless connectivity to upload to your Garmin Connect account and share, AutoShot round analyser automatically measures every shot distance for post-round analysis which is visible using Garmin connect on your desktop or laptop. 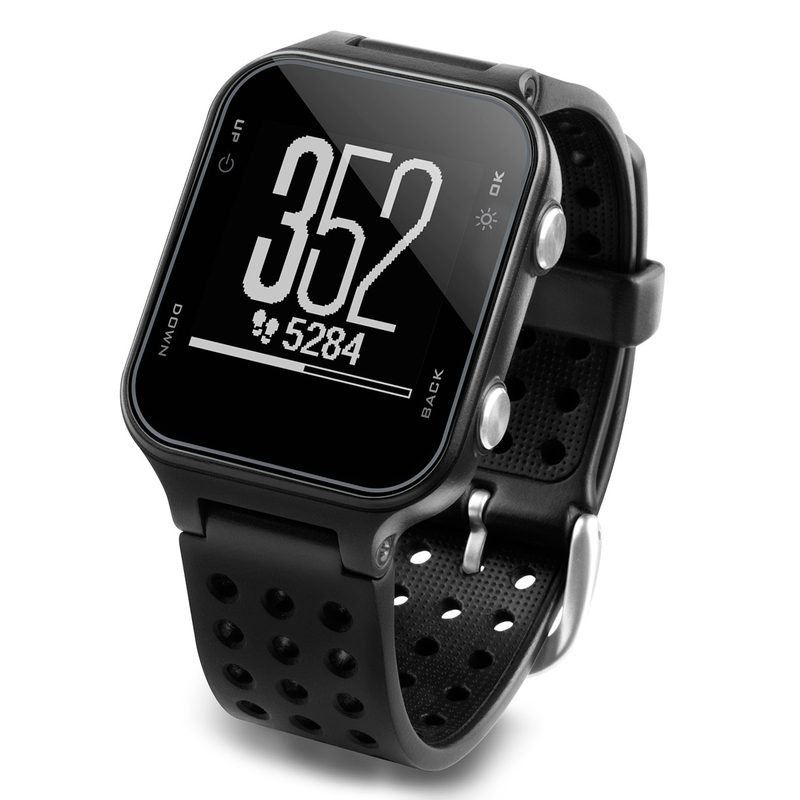 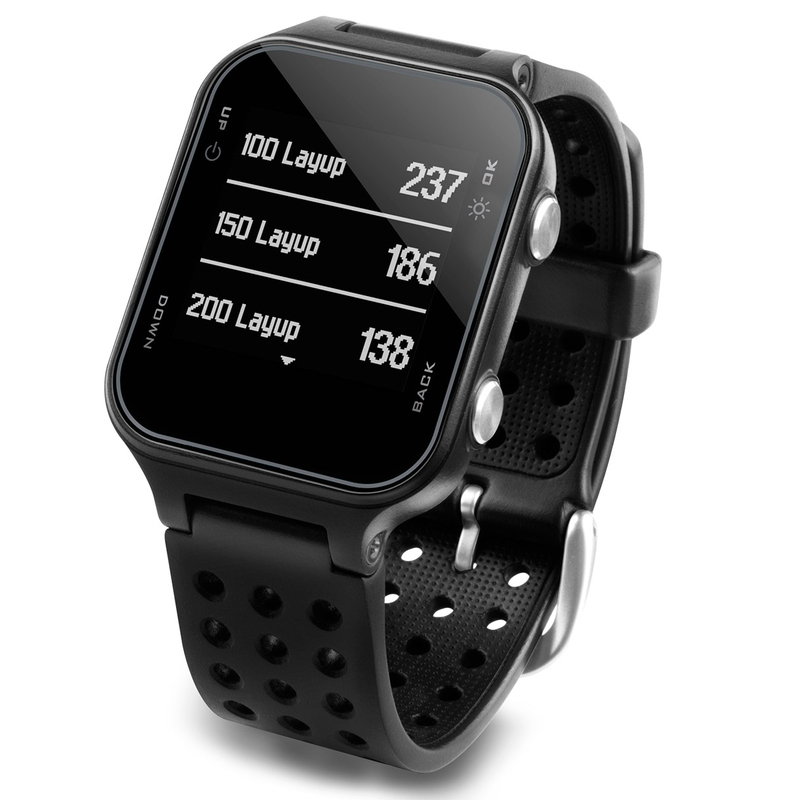 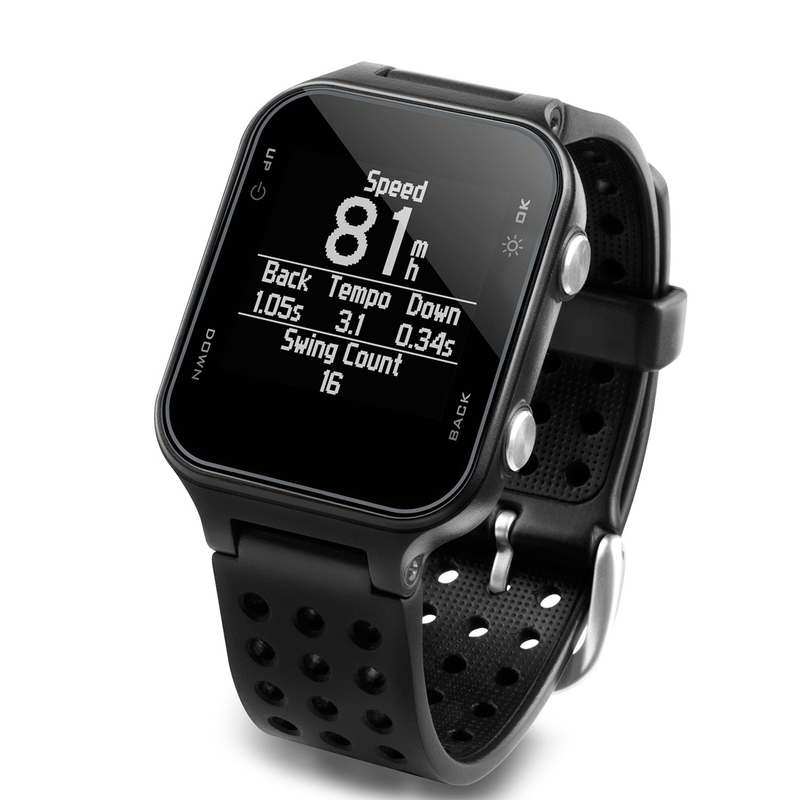 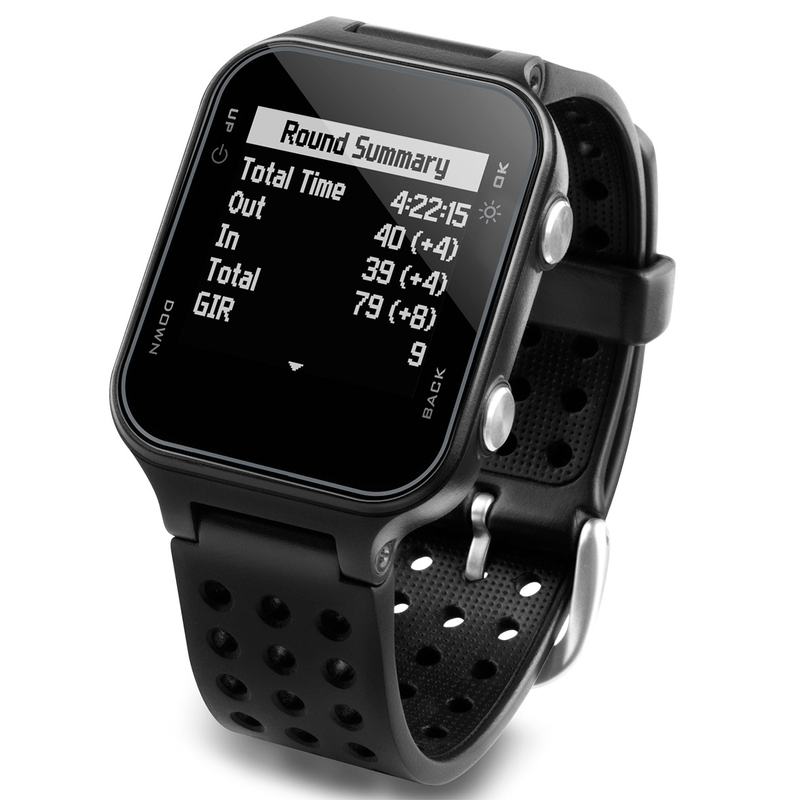 The device is also compatible to pair with the Garmin TruSwing golf swing sensor to provide metrics to improve your swing consistency. Activity tracking reminds you to stay active with move bar and alerts. 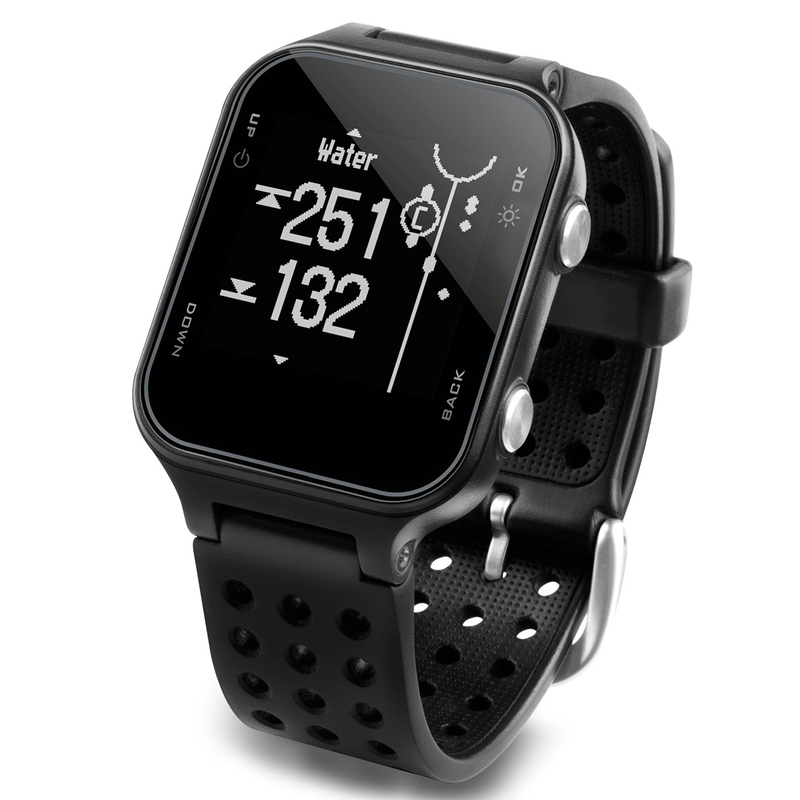 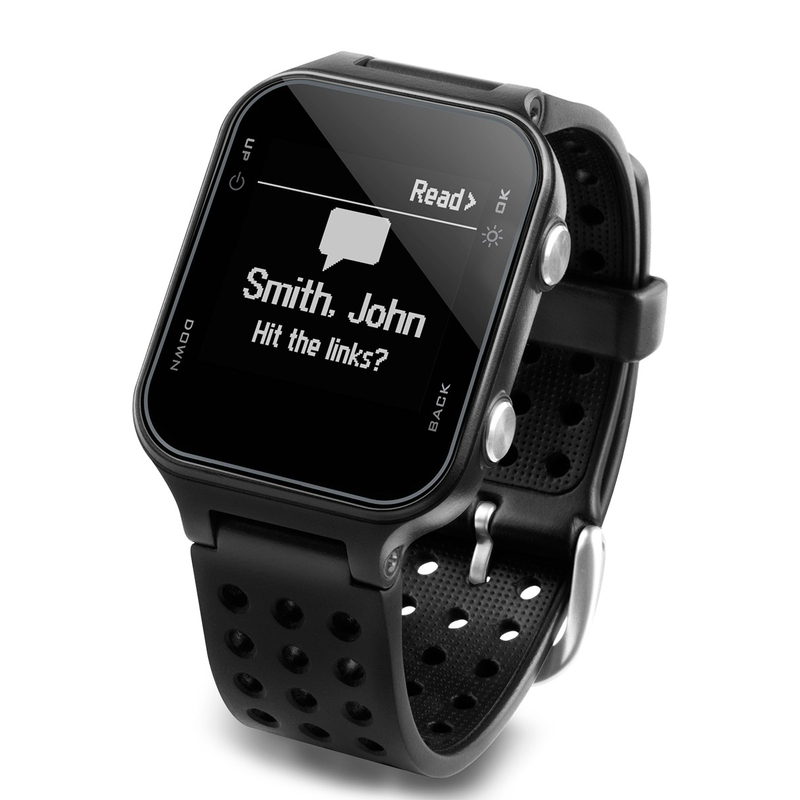 The watch displays steps, calories burned, distance and time of day, plus it monitors hours of sleep, in addition, receive smart notifications for calls, texts, emails and other alerts right on your wrist.